As I sat working at my computer, my apartment building started to shake. As I live so close to the Verrazano Bridge, the building was built to sway ever-so-slightly when there is very heavy traffic on the bridge or during a violent storm. My mind quickly resonated "Earthquake" as my apartment started to sway and things shook. I heard the tinkling sound of my crystal chandelier in the dining room, later remembering I had psychically heard the same sound, and saw crystals from a different chandelier, tapping against each other, while doing a reading earlier in the day. 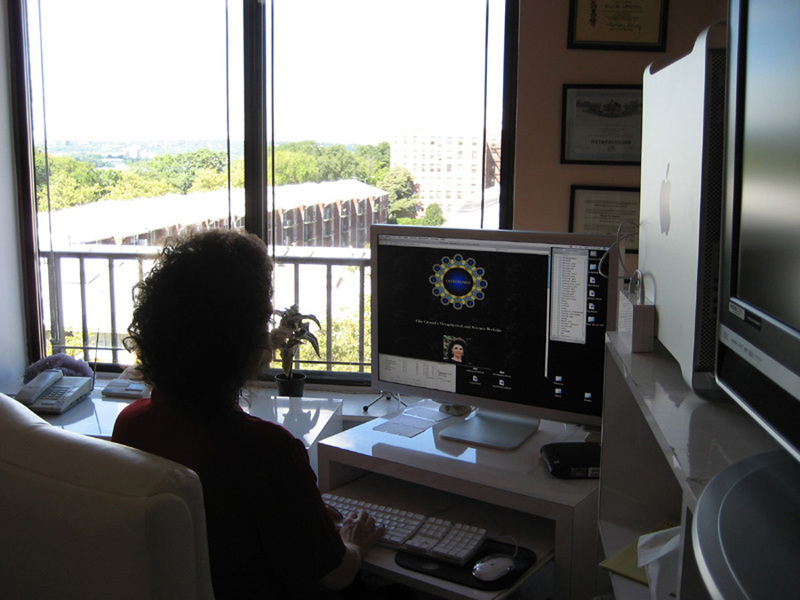 Through 30 years of doing readings, I have noticed, that I sometimes tap into the collective unconsciousness and bring back universal messages as well as those for the client. When I realized it was an earthquake, coming out of the blue as I always blog, my immediate reaction was nothing like the Fade to Black Experience in June 2009. I recognized that the earthquake was another marker - insert - precursor of what leads up to Fade to Black. I felt no fear .. no panic ... just curious as this was my first ... earthquake that is. As with all firsts, it came and went quickly, leaving a lasting impression. There were two tremors - the second one more powerful - all told lasting about 20 seconds. Remembering a TV program about earthquakes, I stood in the doorway until I knew it was over. It's interesting that I didn't think to connect with Z - as it didn't seem necessary and he always has my back. My friend George was the first person to call just after the second tremor. "Did you feel it?!" he shouted. "Yes!" I replied excitedly. George lives on the top floor of a high rise building in Manhattan and was home at the time. There was an unspoken knowing between us about what this earthquake meant - like an affirmation all was happening according to plan. I went to talk to Sal the building's Super, but found a note posted by the elevators that he left for vacation. I thought about going downstairs to the street but didn't want to get stuck in the elevator, or on a stairwell, should there be an aftershock - and most 5.8 earthquakes have aftershocks. No one was in the hall as everyone was at work or outside. Back in my apartment, my phone rang off the hook with calls from friends and family. There were texts and emails as people compared notes to get a better picture of what was going on. I looked out of the people who had calmly gathered in the streets - reminding me of 9/11 - about to celebrate its 10th anniversary - with the same eery calmness before the quake - the magnetics powerful. This is needed to bring in a new insert. My thoughts ... Perhaps my friends are right .. the program closes before December 21, 2012. Okay ... I can live with that! After the earthquake in Japan and resulting tsunami and nuclear disasater early this year on 3/11/11 - we all think about Nuclear Power Plants. It seems each Nuclear Power Plant hit by today's earthquake closed down as soon as their area experienced tremors. Good job. Preparedness is the key. Friends who are sensitive to earthquakes, reported they felt the onset of the quake for the past few days. My friend Barbara, also in Bay Ridge, Brooklyn, has 2 dogs. She said they started to howl shortly before the quake hit the city. Shari reported ... Hi Ellie, I live in SW Virginia and while I didn't feel the quake yesterday, I had an unusual experience. I was sitting outside around noon and suddenly became aware that the birds were silent. Usually they are so noisy! A feeling came over me that there was a message there, but I didn't know what. Then I noticed two big crows sitting high atop a tree making a noise that sounds like a wild turkey. I looked up at them and it was as if there was a connection between us, they were trying to tell me something. Then they started making a clicking noise. I knew something was up, but I never thought it would be an earthquake here on the east coast! Some of the animals at the SmithsonianÕs National Zoological Park even shouted alarm calls or ran up trees seconds before the rest of us felt the shaking. About 5 to 10 seconds before Tuesday's quake, an orangutan named Kyle and a Western lowland gorilla named Kojo, abandoned their food and climbed to the top of the treelike structure in the Ape House exhibit. The North American plate is breaking as are all the tectonic plates around the world. It's showtime. What are we looking for? ... something to set off Yellowstone. At the end of Katy's reading I 'saw' a graceful dragonfly with cellophane wings that became a dragonfly on a stainless window - designed in shades of blues, purples and greens. After the reading Katy looked up dragonflies on Crystalinks and emailed this. "The Maya considered the dragonfly to be one of the symbols of Kukulcan also known as Quetzalcoatl whose spirit is said to be connected with the fulfillment of the Mayan Calendar -- December 21, 2012." As you know Z is Q or QuetZalcoatl. Katy recently met an Italian man who's first name is Federico. I told her I have a friend in the city named Robert ... last name Federico ... also Italian. This morning Robert sent me a link with a Mayan theme - Mayan Secrets to Be Revealed by Mexican Government in '2012' Doc ... and the beat goes on. The earthquake had an epicenter in Mineral, Virginia - not far from Washington DC. 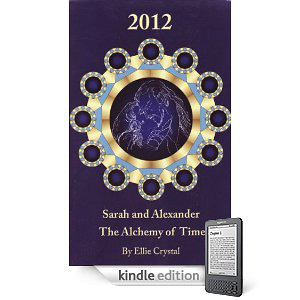 replete with metaphors (mineral - gold, alchemy, they came here for the gold, etc.) 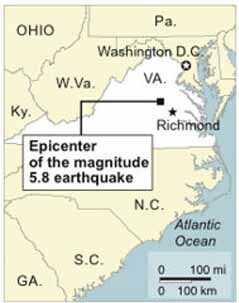 (Washington, DC - the Masonic Program - 11/11 ... Virginia had several aftershocks one as large as 4.4 as reported in the news. 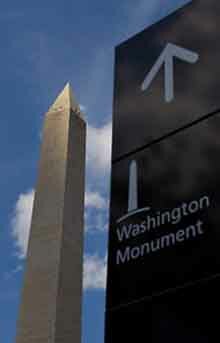 While the angst over whether this countryÕs political system is broken seems likely to go on for the foreseeable future, it gave way to some degree Wednesday to more immediate concerns about how badly the Washington Monument had been cracked. New Yorkers in high-rise buildings were quick to evacuate after feeling the rumblings from today's (Aug. 23) magnitude 5.8 East Coast earthquake. If you were standing on the street level, however, you might have found yourself wondering why hundreds of people were streaming out of their buildings. Why was the East Coast earthquake felt in skyscrapers, but not on the street? It's difficult to say for certain; big quakes are relatively rare on the East Coast, so scientists don't have a lot of experience studying their characteristics and determining what is normal, and what is not. It has been suggested that earthquakes as large as magnitude 7.5 could occur on some faults in the East Coast, and certainly the earthquakes of 1811 and 1812 were in that general magnitude. A strong earthquake struck a remote Amazon region of Peru Wednesday, shaking buildings far away in the capital and in neighboring Brazil, although no injuries or damage were reported. It was the most powerful earthquake to hit the Andean country since a 7.9-magnitude temblor killed more than 500 people and destroyed thousands of houses in 2007. One seismologist said the depth of Wednesday's quake - 90 miles - meant damage was unlikely.